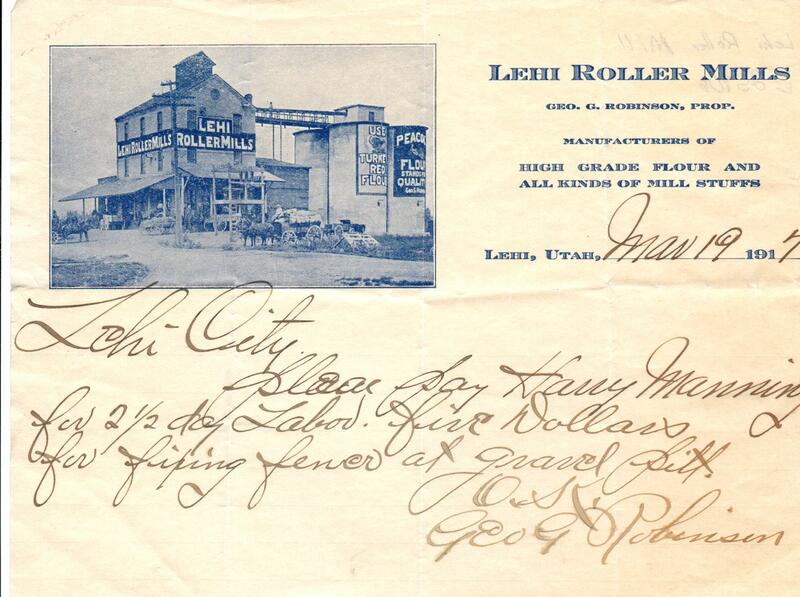 Description Lehi Roller Mills billing statement, addressed to Lehi City, stating Please pay Harry Manning for two and a half days labor. Five dollars for fixing fence. Signed Geo G. Robinson.